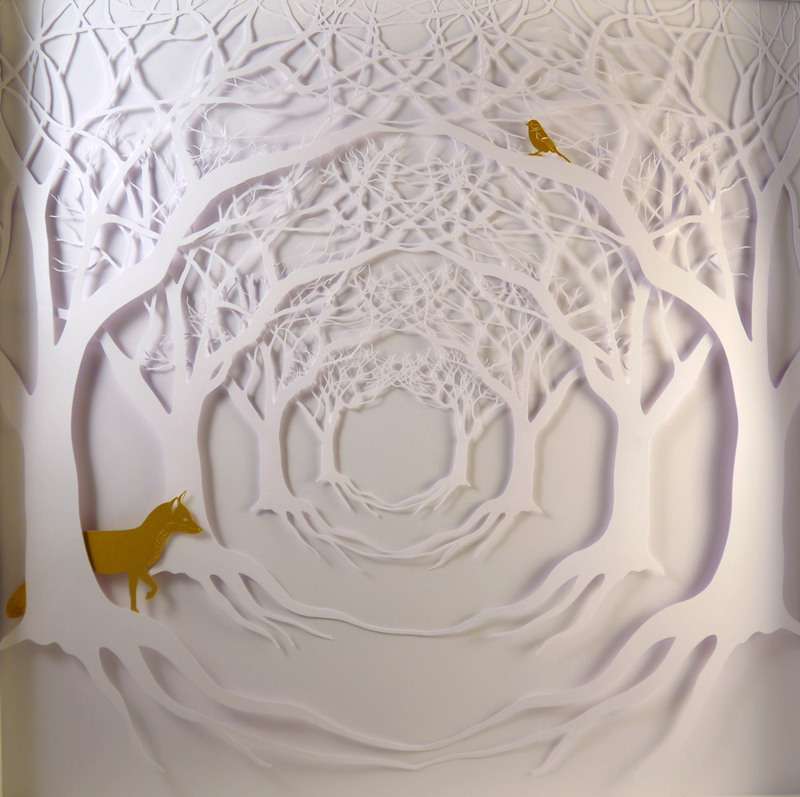 This striking image of a tree tunnel is made up of multi layered paper cuts majestically drawing your eye in. 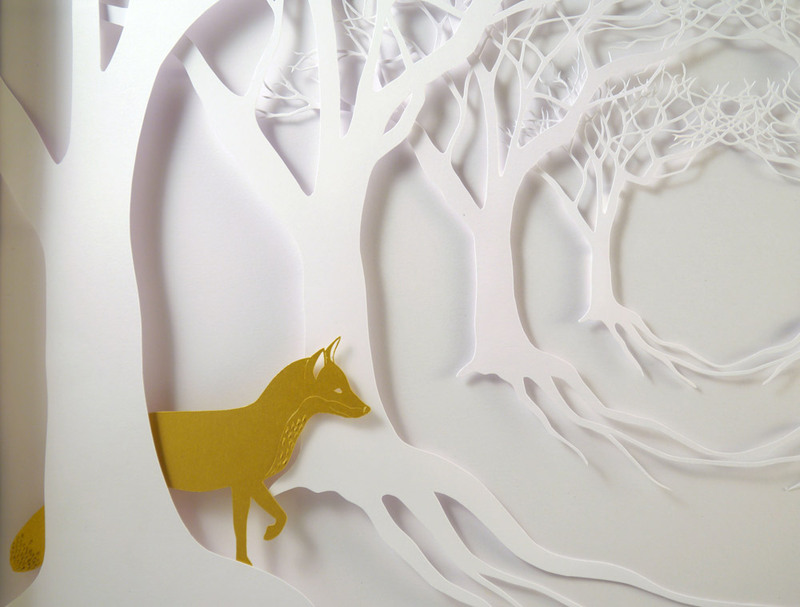 The fresh clean white formations of the trees create a winter mood that is ignited by warm burst of gold in the form of a fox and bird making their presence in the woodland. 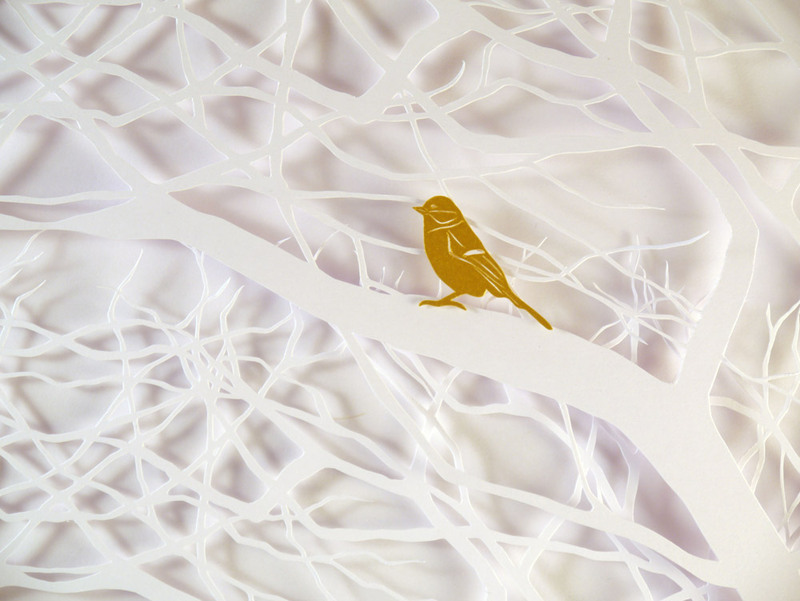 This piece and the rest of the collection will be available for sale online at www.eastendprints.co.uk. You can also find them regularly at Spitalfield Markets, London.